Colloggett Pippin - Cider Apple Tree £12.75 - Cider Apples - Sharp and Bittersharp Apple Trees and Fruit Trees For Sale. Buy at competitive prices with wholesale discounts. 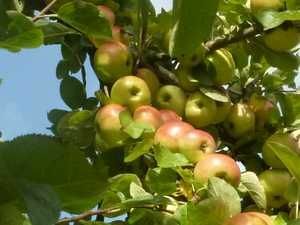 Colloggett Pippin is a very popular Cornish variety from the Tamar Valley, dating back to the early 1920s. It is a dual purpose sharp apple and makes a very good dry, light cider. The apples are large and striking in appearance; pale yellow, angular and with bold red stripes. Also known as Cornish Giant, trees are spreading and produce regular crops. When cooked Colloggett Pippin turns to a brisk gold puree, perfect for a proper Cornish apple sauce!